If you’re facing a DUI charge in Colorado, don’t try to fight it by yourself. The consequences of a conviction can have ramifications that may impact your entire life, and they extend far beyond paying higher insurance premiums. It can impact your ability to get a job, obtain credit and find a nice place to live. 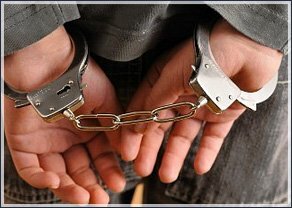 The stigma of a DUI conviction may also cast a shadow on you and your reputation for years to come. Just because you have been charged with driving under the influence does not necessarily mean that you are guilty and that life as you know it is over. The most important thing that you can do is contact an attorney who knows the law, understands the system and has the wherewithal to give your situation real attention and guidance. There are many procedures that must be followed in order for law enforcement to properly assess, charge and prosecute a defendant. There are also mitigating factors that can be considered in almost every case which may influence whether a defendant is found guilty or has the charge dismissed. Nothing in a DUI case is simple, straightforward or open and shut. The McDowell Law Firm knows how DUI charges are prosecuted, how the system works and how defendants are treated throughout the process. This experience is extremely beneficial to clients who need a voice and advocate during one of the most important times in their lives. We provide an organized, methodical and comprehensive approach to managing cases on behalf of our clients. We will ascertain the facts and circumstances that led to the charge during the initial consultation. We will analyze every detail of the case in order to find any errors, weaknesses or mistakes that can influence the outcome. We know how to negotiate with prosecutors, compile a solid defense and use the law and process to the benefit of our clients. You have rights that must be protected and respected by the legal system, and this applies to the innocent and guilty alike. Some clients are able to get charges dismissed while a conviction is inevitable for others. 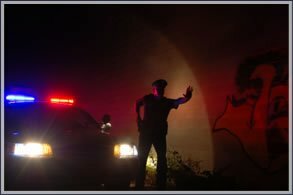 There are statutory penalties associated with DUI sentencing, but there are ways to mitigate many of the long-term consequences as well. Working with our experienced team of legal professionals can help to provide alternatives that can get you back on your feet and on with your life. Don’t face the fear and uncertainty of dealing with a DUI charge on your own. Contact the McDowell Law Firm today and set up an initial consultation. Let us walk you through the process, explain your options and develop a plan. We are here to listen. We are here to advise. We are here to help. Personal injury claims are not always straightforward or fair. Insurance companies are not always willing to pay for the mistakes of their clients. Parties who are responsible for injuries caused by their neglect will often deny, resist and sidestep their obligations. Victims are often forced to shoulder the financial, emotional and life-changing burden of their injury without having access to justice or proper compensation. 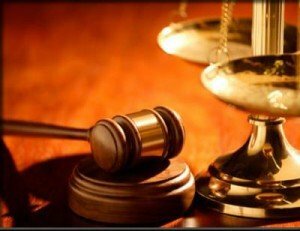 Why An Attorney Is Important? This is why contacting an experienced personal injury attorney is important. The legal process is often complex, confusing and full of technicalities that the average person cannot effectively navigate on their own. This is often exacerbated by stress caused by pain and suffering, severe and sudden lifestyle changes, dealing with long-term illness, disability or financial concerns. Colorado law specifies that victims have rights. However, standing up for those rights is not easy. Responsible parties will often go to great lengths to avoid paying damages, offering proper and fair settlements and even blaming victims for causing the incident in the first place. Most victims settle their claims without the need to take the matter to trial. However, the quality and fairness of a settlement often depends on the process of negotiation. Working with an experienced attorney can help to ensure that the amount that is reached during this process is fair and equitable. Medical bills, lost income, punitive damages and consideration for the future all need to be taken into account. Going through the process alone puts many victims at a disadvantage simply because they do not understand the full and long-term ramifications and cost of their injury. Insurance companies count on this as a way to minimize the amount they will pay, and their lawyers and agents work hard to convince victims to settle for a low amount instead of risking a lengthy and uncertain trial. The McDowell Law Firm has an extensive experience when it comes to negotiating with other parties in order to get clients a settlement they truly deserve. We are also experienced litigators who know how to speak on behalf of clients if the matter must proceed to trial. Victims should not need to endure the abuses and frustration that many negligent parties cause after they have been injured. A competent and experienced attorney can manage the legal and technical aspects of pursuing a personal injury claim while victims can focus on rebuilding their lives. Contact the McDowell Law Firm today and let our experience and resources help you to negotiate a proper settlement. Avoid the temptation to settle for less than you deserve, and allow us to hold the other party fully accountable for their actions.